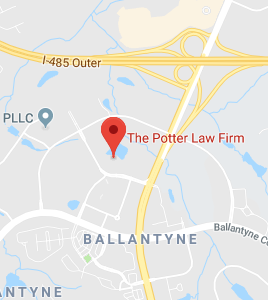 John Potter is an Estate Planning and Elder Law attorney in Charlotte, North Carolina, with offices in Ballantyne and Huntersville. His practice focuses exclusively on two areas: Estate Planning, helping individuals protect their families and preserve their legacies both during their lifetimes and after their deaths, including through Wills and Living Trusts; and Elder Law and special needs planning, assisting individuals in qualifying for Medicaid and other government benefits to offset the costs of long-term care, including nursing home care and other medical expenses. John received his B.A. in Economics from Davidson College, in Davidson, North Carolina, where he graduated Phi Beta Kappa in 2000. He received his law degree from the University of Virginia School of Law in 2003. After graduating from the University of Virginia School of Law in 2003, John clerked for United States District Judge Jennifer Coffman in Lexington, Kentucky. In 2004, he joined the law firm of Taft, Stettinius & Hollister LLP in Cincinnati, Ohio, where he practiced in the litigation section. His experience with estate and trust litigation left him with the conviction to help clients proactively take control of their affairs both to avoid unnecessary, time-consuming, expensive, and heart-breaking litigation and also to give clients the peace of mind and other benefits that come with proper planning. John practiced estate planning and elder law in the northern Kentucky office of his family’s law firm beginning in 2008. In 2012, John moved to North Carolina and opened the Charlotte office of the Potter Law Firm. He is admitted to practice law in North Carolina, Kentucky, and Ohio, and he is accredited by the Department of Veterans Affairs. 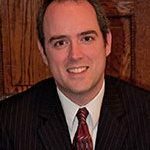 John is a member of the American Academy of Estate Planning Attorneys, the National Academy of Elder Law Attorneys, and the Estate Planning and Elder Law Sections of the North Carolina Bar Association, where he serves on the Estate Planning Section’s Legislative Committee and the Elder Law Section Council. John believes he has a responsibility to devote his time and energy to improving the community where he lives and works. In addition to his current involvement with the North Carolina Bar Association, he is actively involved in Forest Hill Church. Kentucky Bar Association Young Lawyers Section Public Service Award, 2009. “Ethical Considerations in Representation of Individuals with Diminished Capacity and Medicaid Update,” presented at 2010 Kentucky Law Updates, Covington, Kentucky, and Prestonsburg, Kentucky.